Embedded system is a look like a computer system, it is the combination of both hardware, and software, it is normally designed to perform the several operations like data accessing, processing that data and data storing in the real-time applications. Embedded system is fastest growing in day-to-day life and also increasing the institutes for embedded training, there are a number of embedded systems training institutes, who are giving training for embedded systems. Embedded systems projects are possibly the group of projects, particularly with regarding the electronics & electrical students. For completing the whole embedded project, we need to study about the Embedded System course and we are the Professional Training Institute, we will train the students to be good in the embedded systems, we will teach to the students how to develop a project and what we need learn when you are doing a project. While choosing any embedded system course we need to join in the best-embedded system training institute. Here, you will find the top embedded training institutes in Bangalore as well. Nowadays, there are many ways to build our carrier. But when it comes to ECE/EEE/EE student then we are having very fewer options. Students are having a few top Technologies for doing projects are on VLSI/SCADA-PLC/ and Embedded system. If you are interested to do projects, then one of the best and core field is an embedded system. I will discuss with you how to build a project on Embedded System, if we have done more projects on embedded systems then we will have a successful career in the embedded system. Embedded systems are found in simple devices like television remote controls, calculators & microwave and also in more complicated devices like medical, home security, traffic control systems and military etc.., nowadays many engineering students are interested to do simple embedded projects to build their carrier on jobs in the embedded systems and improving the practical knowledge. We can use 8051 Microcontroller, PIC, Arduino, and Raspberry Pi controllers to build embedded projects. For doing any embedded project we need to aware of embedded courses. Here, we are giving some list of embedded systems. 3. Cell Phone Controlled Robotic Vehicle. 4. Fire Fighting Robotic Vehicle. 5. IR Controlled Robotic Vehicle. 6. Design and Implementation of a Metal Detector Robotic Vehicle. 7. RFID Based Device Control and Authentication Using PIC Microcontroller. 8. Temperature Controlled Fan Projects. 10. Communication between two PC using ZigBee. We need to choose a project, which we are going to design, and we need to add some more features if we are doing an existing project. 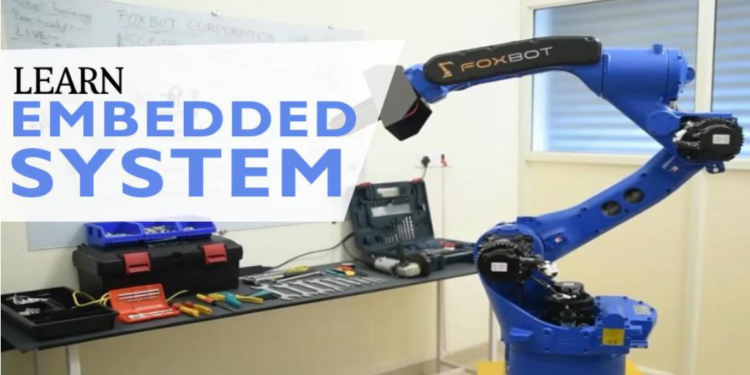 We need to gather all the required components and an overview idea of the project and we need to select a particular controller which will help for easy designing. We need to gather all the components and study of each component how they are working and how we need to interface with the controller. Then make an algorithm for the project which we need to design, then analyze how it needs to implement to the hardware section. Coding is the main part of the Embedded Projects because all controllers will work with the machine language only. Here, the controller will work and interface with all the peripherals based on the code we have written. In our life, we know only C language, till now we don’t have any other requirement to learn other languages. C is the main programming language for the embedded system. Mainly C language is working more closely hardware. it is most widely used programming in the world. While you are sitting in an interview, you should have complete knowledge of C language. In any embedded system, interview 90% questions will come from C language. you should have control over C language. In Interview, the company is expecting a very deep understanding of C, normally they ask higher end of C language like a function pointer, structure, union, pointer, the array of structure pointer etc. In order to achieve control over the interview, you should go complete understanding of C language. When you want to do a project, you have to design an embedded product and you need to use C language. We need to know Advance knowledge in C language. We need to write a code for our embedded project we have to write code by interfacing all the peripherals and making the controller to be work as per our requirement. As a deeper understanding, you will have to learn a C language that much good code you can write. We are a Professional Training Institute in Bangalore, we give training in C completely hands on, it will make our student knowledge stronger than any experienced student. While designing a Hardware, we need to know all the hardware components, which we are used in the embedded projects. Normally component used in Embedded is Resistance, capacitor, inductance, diode, transistor we should be aware of these components, how to use them, limitation etc. We may also need to have knowledge of ICs like RTC DS1307, EEPROM – 24c04, ADC 0804, RS232, ULN2003 etc we should know what all types of ICs are available and where we can use them. When we know how the hardware components will work and how to interface with other components then we can easily complete the projects with less help with others. First, we need to draw a schematic for that project then we can do a simulation on the system, for example, we can do the simulation on Proteus and we can check the output of our requirement. If our schematic circuit is correct then we can make that as PCB design by proper placing the components and make sure about the Soldering, after soldering each component check that whether it happens any shorted. Then finally dump the code into the controller and check the output. When we complete the project by making Hardware interfacing and code writing then we need to check that the complete project working as per our requirement. First, we need to dump the code to the controller then we need to check the output. If we are getting then our process is completed and we submit the project if output did not come then we need to check where the errors getting and we need to debug that errors. Like first we need to check for every component getting a power supply as per our requirement then we need to check at each component whether each component has desired input and output and whether it is working or not if there any problem try to replace with another component. Check all the connection, wiring connection and check whether any short circuit happens. Like this, we need to debug the whole network and analyze the errors than correct it. After the testing completed it is necessary to make documentation also. When you start designing the project then you need to make a design document. When any customer buys our product he needs to know about how it will work and he requires manual, to operate that product. When you have completed your project and you need to submit a project for review and release, that time you need to have all the document completed. For doing this Embedded Projects, we need to join in the topmost Embedded Training Institute and we need to check whether they can provide good training or not. 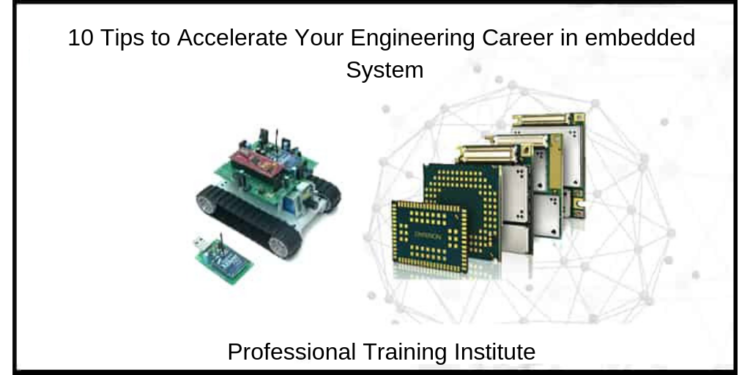 Our embedded system training in Bangalore has good knowledge on embedded systems and can take of each student in a batch so if you want to grow your carrier at a peak level then immediately join in our institute or you can top most embedded institutes. Now a days, there are many ways to build our carrier. But when it comes to ECE/EEE/EE/ student then we are having very less options. For Us we are having few top choises are VLSI/SCADA-PLC/ and Embedded system. Here VLSI is having very limited scope in India, while SCADA is not in much trand now a day, while are having one of the best and core field is Embedded system. I will discuss with you how to build your successful career in Embedded system. Before I move on I will introduce my self so that you can relies on the information which I am providing here. I am Yogesh Kumar Sharma from founder of Professional Training Institute, having 15+ years of industrial experience in embedded development. Okay so let’s start your journey in the embedded world. As of my past experience I will explain the 10 most important tips to accelerate your engineering career in embedded systems. If we wanna to make our career in embedded system then first we need to know about all the embedded devices used in the projects development. Every companies will use different types of controllers based on project. So, we need to have some knowledge on different controllers because if we are working in any company they will give project and the requirements only and there is your job to make that complete project and you need to study which controller is suitable to that requirement. If we want to design any project we need a knowledge on embedded devices which we are using for our requirements. So, firstly, we need to learn the embedded components, the controllers, the protocols, tools, programming language etc,. you should gain some practical knowledge in embedded system, you should do some hands on experiment with the latest technologies to make them use correctly. Here in Embedded Training Institute in Bangalore, we give directly projects to the students and they gains hands on knowledge on embedded system from us. 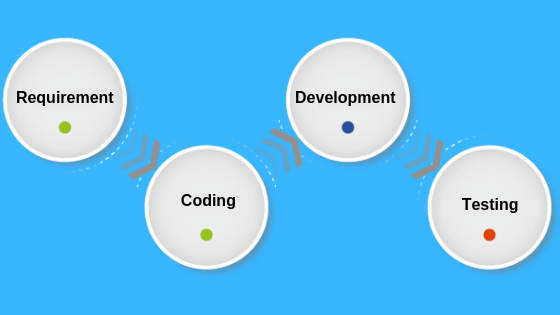 By knowing the Embedded development life cycle will helps a lot in your career. you can only make the project by own without anyone help. Normally process is depends upon individual company but normally we follow SDLC with some changes. For complete embedded development cycle involves different steps. First, the market team will give a requirement for their application and based on their application R&D engineer need to analyze the project for feasibility of project, technology required, past experience within organization etc. Then R&D team will start the design and implementation. The above steps are part of SDLC – software development life cycle. After implementation complete product testing is started. once you should know the above steps. In my life i know only C language, till now i don’t have any other requirement to learn other language. C is the programming language for embedded system. Mainly C language is working more closely hardware. it is most widely used programming in the world. While you are setting in any interview you should have complete knowledge of C language. In any embedded system interview 90% questions will come from C language. you should have control over C language. In Interview company is expecting very deep understanding of C, normally they ask higher end of C language like, function pointer, structure, union, pointer, array of structure pointer etc. In order to achieve control over interview you should go complete understanding of C language. When you work in company, you have to design an embedded product and you need to use C language. We need to know Advance knowledge in C language. As deeper understanding you will have in C language that much good code you can write. We are the professional training institute in Bangalore, we give training in C completely hands on, it will make our student knowledge more stronger than any experience student. As an Embedded Engineer, we need to know all the hardware components which we are used in the Embedded projects. Normally component used in Embedded is Resistance, capacitor, inductance, diode, transistor we should be aware of these components, how to use them, limitation etc. We may also need have knowledge of ICs like RTC DS1307, EEPROM – 24c04, ADC 0804, RS232, ULN2003 etc we should know what all types of ics are available and where we can use them. Although many types are ICs are available in the marketing, but we should be aware of all main ICs. When we know that how the hardware components will work and how to interface with other components then we can easily complete the projects with less help with others. During training our student do lot of experiments with the above ic and gets hands on understanding of that. during experiment student read data sheet and use the information mentioned in that. you also must know what all are the important parameter we need to check in data sheet. 5) Debugging skills of software – Embedded firmware. If your writing code for running hardware then if you are lucky then your code will work as it is. but in most of the case, I won’t. Firmware won’t work as it is, And if firmware not working then we have to make it work. We have to find out what is the mistake we did, for that we need debugging skills. But the difficult part is how to learn to debug, here in the Professional Training Institute we ensure that during training student face enough problems so that he/she can develop debugging skills. However, when we got an error we need to go through the ocean and solve the problem faced. We need a lot of analytical skills to overcome the possible cause of the error, to narrow down the scope of error. Still, there is a possibility that some error will solve in 10 min, some error will solve in a few days, but some may take months or years. But it will surely be having a root cause. Sometimes, we are written the firmware code correctly but we are getting errors because of there is a malfunction in the hardware circuit(we don’t know that), so with how many times if you check also you won’t found the answer for that error. Because of these, we need to have good debugging skills while working on Embedded products. This is the one more skill to need to establish the embedded systems developer, it is used for testing the complete hardware products. when we make firmware we need to check that it is working or not, this is called unit testing. In unit testing, we ensure whatever functionality we had developed that has to be working correctly. if we found any bug then we need to correct them. once unit testing is done then we give our component for testing, this testing may be done by some other team. We are having another level of testing that is called component testing- in the component testing, we ensure the individual component is working correctly. This individual component can include hardware, software. To test components we may need to give some dummy input for testing. Once the independent component is working correctly then we can go for integration testing. In this, we check full system functionality. If we found some issue then we have solved them at individual level. when you are working on any project many times system is not working, you have to debug and diagnose the problem. To debugging an embedded device we must know the art of debugging hardware. As an embedded engineer we should know where is the problem located, why device not working. For firmware, we are having a debugger, but hardware we are not having the debugger. we need to check signal one by one and find the problem. You should have hands-on knowledge of the tool used to debug hardware like logic analyzer, CRO, multimeter etc. When are testing an embedded hardware part for an errors first we need to check individually and then the whole system. • We need to check first all the equipment are working or not individually. • Next, we need to check the input requirements to all the devices. • Next, we need to analyze the errors occurs and we need to check is there any short circuit or not. • If there is an error occurs when we need to rearrange that product without any of errors. So, we need to aware of hardware debugging also. We are professional training institutes in Bangalore and we will focus on the student’s knowledge and we will train you on Hardware debugging also. We will teach you how to build a hardware part in the project and how to rectify if any error occurs on the hardware part. When you’re doing any project on Embedded System we need to know compulsory on tools which will use to work on projects that make to accelerate a career is to master the tools of the trade. The tools which will be used to work on the Embedded projects are Keil, Proteus, Flash Magic, Mp Lab, MATLAB, Kicad, Altium Designer, Eagle, OrCad, STM32 CubeMax, Arduino, Rasbian etc., By using these tools based on controllers like Arduino is used to write firmware in Arduino and Node Mcu ESP8266 etc,. Keil is used to writing a C code or Assembly code and for compilation process. Proteus is used for a schematic of the hardware section and checking the code as well as hardware project is working or not. Flash Magic is used to dump the code into a microcontroller(8051MC, LPC21XX, etc) and Kicad, Altium Designer, Eagle, OrCad are used for Pcb designing purpose. Rasbian is used to work on the Raspberry pi Controller. So, in every company, they will use different controllers and based on the controller we need to work on different IDE tolls. That’s why we need to know about the IDE tools, then only we can do any type of projects. When your working on any project, it is necessary to make documentation also. When so many peoples are working on the same project then documentation is required. When you start designing a project then you need to make a design document, we also need to make testing documents. When some candidate is leaving the company then what activity he did all those things need to capture so that in future it can be used in case of any problem. when any customer buys our product he needs to know about how it will work and he requires manual, to operate that product. When you have completed your project and you need to submit a project for review and release, that time you need to have all document completed. These are the 10 tips to accelerate your career in an Embedded System and you need to aware of these tips then you can service in any where in the company. And we are the Professional Training Institute in Bangalore, we will mainly focus on the embedded Course in Bangalore which will helpful their carrier and we will help you how to make individual projects also which makes you as an experienced person. So, first please join in any top embedded training institute in Bangalore that is Professional Training Institute. If the condition is true, then the statement inside the body of “if” only executed. If the condition is false, then the statement inside the body of “if” will be skipped. Now, we can see the example with a program. The number a=5 is lessthan b=8. 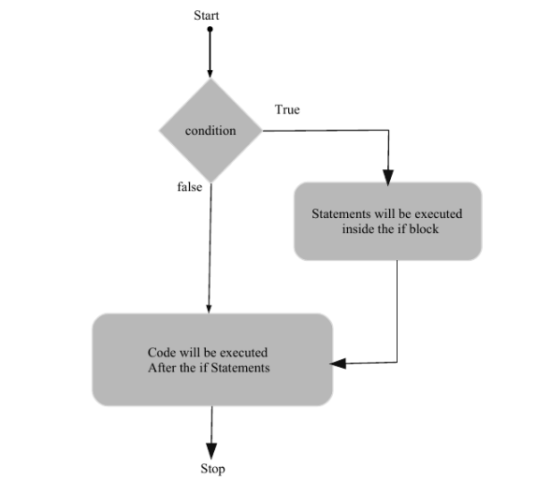 So now we discussed the If statement and the remaining flow control statements will be explain on the following documents. If you want to establish a good carrier then we need to have good knowledge on the basic language . This language is very useful to the Embedded Systems and to get more knowledge we need join in the top embedded training institutes in Bangalore and we are the Professional Training institute in Bangalore and we will focus on the good knowledge for the students. Variable is a name that can be used to store the values or data. Here, A data type is associated with each variable. The data type of variable decides what value it can take. The data which is stored in the variables exist upto program’s execution, One’s program execution is completed then variables data also expires. The rules of naming a variables are same as that for naming identifiers. int x; // Used to hold an integer. float salary; //Used to hold a float value. char grade; //Can hold/store a character in it. variable of type float, grade is a variable of type char. Here, x,y,z,temp are all variables of int type. * Keywords are not allowed as a variable name. * Variable name is not allowed start with a digit or numbers. * Variable name can consist of alphabets, digits and special symbols like underscore _. * Blank or spaces are not allowed in variable name. Here, if we consider the program we are declaring the variables in the main program that to it has been declared before used. In the program, x,y,z are the int datatype variable and which the system will allocates the seperate memories for each variables. Later, in the program we are initialized the values to the variables I.e, x=5 and y=2. So here the value 5 is stored in the variable x memory location. Similarly, the value 2 is stored in the variable y memory location. So after performing the addition operation the sum value is stored in the z(z=5+2). If a student is very ambitious about the career in embedded systems industry. They should have a very deep knowledge in the basics . There are lot of famous institutes for embedded systems training institutes in this field. We are the Professional training institute, in Bangalore are focusing on student’s deepest understanding in this field from its basics. To describe the features of the variable we use storage classes in c programming. Storage classes are used to track the variable during the run time of the program. Storage class describes the lifetime, scope of the variable in a program. There are four storage classes in c program. They are auto, register, static and extern. The variable normally declared inside block or function is of auto type i.e auto is a default storage class for all the variables which are declared inside the block or function. The scope of auto variables are within the block or functions means Auto variables can be only accessed within the block/function they have been declared and not outside them. Above we declared two variable of the same type. The register storage class is used to define local variables that should be stored in a register instead of RAM. The register should only be used for variables that require quick access such as counters. It should be noted that describing ‘register’ it does not mean that the variable will be stored in a register. It means it might be stored in a register depending on hardware and implementation restrictions. The static storage class notifies the compiler to keep a local variable in existence during the lifetime of the program instead of creating and destroying it each time it comes into and goes out of scope. Therefore, making local variables static allows them to maintain their values between function calls. The static variable can be external or internal, its depends on the place of declaration. The keyword extern is used with a variable to notify the compiler that the declaration of a variable is done somewhere else. The declaration of extern does not allocate storage for variables. Extern int x; // global variable from file1 is extracted so x=3. So the global variable which is declared in one file can be used in other file using the extern. An array is a collection of similar data which is stored in sequential order in the memory. For example, if we save one integer variable into memory it will occupy 4 bytes. If we make another variable then it also occupies 4 bytes, but this memory of two variable may be consecutive or maybe not. This type of variable declaration method is alright until we are having less number of variables. Once we have to handle the number of variables, it’s maybe 50, 100 then making 50 variable is very difficult. We have a solution, we can make an array of N number of the element. In the array, all variable will be saved into consecutive memory locations. This will reserve 50th places each of size 4 bytes int memory and the good part is all are consecutive in memory locations. We can access each element individually by showing their place value. E.g. array, array, array etc. Keep remember array always starts from 0, means the first element is always array and last-element is one less than the maximum number element, in our case array. /*initializing the values to array elements a */. We can pass array elements to function in two ways. One is bypassing a single value or by passing the full array. return sum;// return sum to main function. In call by reference method for a function call, we are using pointers in function as arguments. Pointers as arguments in function are used to hold the address of variables passed from calling the function. If a function is called by reference and any change made to the reference variable will affect the original variable. Let’s check the detailed explanation of the program. We initialized two integer variables m,n and we printed its value before swapping that is 10,20. Now we are calling a function by passing the address of the arguments to the called function. When we are calling a function current status of the program execution will be saved in the stack and the program counter will jump to the called function. In the called function swap pointers are used as the function arguments and denoted as int *a, int *b. with these arguments, we can hold the address of the integer variables m and n. pointer variable *a have the address of m and b have the address of n.
In the called function we declared an integer variable temp. The de-referenced value of *a is assigned to temp ie, 10 De-referenced value of b is assigned to pointer a. Now a became 20 Finally value in the variable temp is assigned to *b, so b became 10 When we were assigning values to the pointers all these values were got stored directly in the memory location. The memory locations which were held by the pointers. *a have the address of m and the value 10 in the beginning so after the swapping to that memory location 20 came and overwritten the 10 Same things happened to *b.
Let’s see the picture below for the clarification. Conditional operators also called ternary operators. Because it has three sets of expressions. Conditional operators return one value if the condition is true and returns another value if the condition is wrong. The syntax of the expression and example is given below. use of printf to print the output of conditional operator. b. In our example b is greater than a. so the conditional operators will print the variable b value. Embedded system training helps to get the full knowledge of the embedded domain. Embedded system is being used in all our day to day life. The embedded training program is designed such a way that it helps you to learn the concepts of embedded systems, which includes the hardware design and the software principles. The Training program offers a clear understanding of the several different embedded systems and their formation and usability. This training helps the students to understand the various computer systems meant for the exact functions. Any individual having interest in this embedded domain can go for this training to make their career brighter. Our embedded training institute in Bangalore will teach the complete course of embedded system and we will give 100% course in and give good knowledge for the students here, so you can explore us and join our Free embedded training program in Professional Training Institute to enhance your skills. During the training program, You will get the Clear idea of knowledge in the embedded domain. As technology is growing the embedded field is also growing very fast, so there are many job openings in the present industry for the embedded domain. We use embedded system everywhere in our day to day life, the main applications of embedded system are in the home automation, in the automotive industry, in agriculture, in defense, and in hospitals etc. so there are plenty of employees needed in research and development, testing, application, software development and in many other domains. 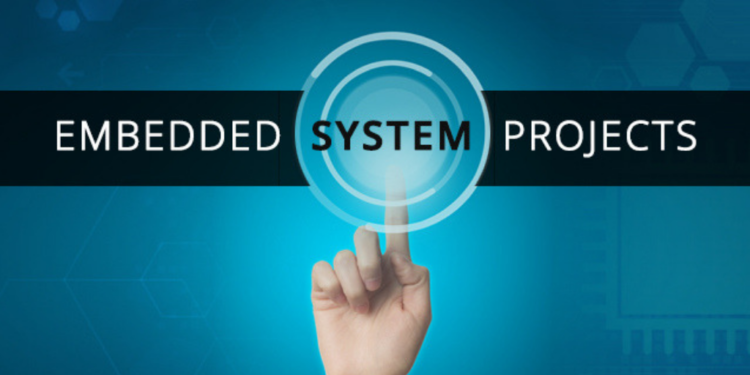 Once you get trained, you will be having a good understanding of the embedded system. When you have a clear understanding of the subject, you can utilize that knowledge whenever you want in future. We at professional training institute train our student such a way that, it’s easy for them to work in industries as they will have good practical knowledge. All training institute focus on present technology, they train their student based on the latest technologies. We at professional training institute train our student on latest technologies, which make them work easily in industry. The training environment at professional training is as like working in the industry. We focus more on practical classes, we help our student to work independently. Nowadays many companies are looking for trained students, as it will save their time. The process of interview will be easy for them. As a requirement of employees is more and in short time they want the employees, so companies contact the training institutes and they recruit directly the professionally trained students. Good Embedded System Training Institute will Give You Training in All Dimension. Many of training institute focus to develop the different skills, like personality development, communication skills and logical skills. We are also focusing on students’ knowledge and we will trained the students as an employer. When you got a job you can feel the job as equal to the experienced people because we will train you on practical knowledge mainly and we can make you to complete some projects on embedded systems individually. So, you will be look like an experienced person. By using this operator it will allow the user to add two or more operands and to get the sum. In the above program we are trying to explain the working of arithmetic operators. There are 7 diffent types of arithmetic operators. In this program after including the standard input /output header file to the program by using #include preprocessor, we are initializing the variables a,b and declaring the variable C. All these variables are integer data types. Next line onwards we are executing the operation. Adding the two values which are stored in the two variables a and b and saving the sum value to variable c. Using printf function we printing the value on the console (output screen). We are finding the difference between two values which are stored in the two variables a and b saving the difference value to variable c. Using printf function we printing the value on the console (output screen). Dividing one value with another which are stored in the two variables a and b and saving the quotient value to variable c. Using printf function we printing the value on the console (output screen). This increment operator first increments the value stored in variable ‘ a’ by 1 and store it back in the same variable. This decrement operator first decrements the value stored in variable ’ a’ by 1 and store it back in the same variable. This increment operator increments the value stored in the variable ‘a’ by 1 and stores it back in the same variable. But it will get in effect in the next instruction only. This decrement operator increments the value stored in the variable ‘a’ by 1 and stores it back in the same variable. But it will get in effect in the next instruction only. After the execution of the program, it will return 0 back to the main function (Because we used int main (), the return type of main() is an integer type only).